I’ve been a fan of Anton Hughes’ Texan-style smoked bbq meats since his Vic’s Meats pit master gig. 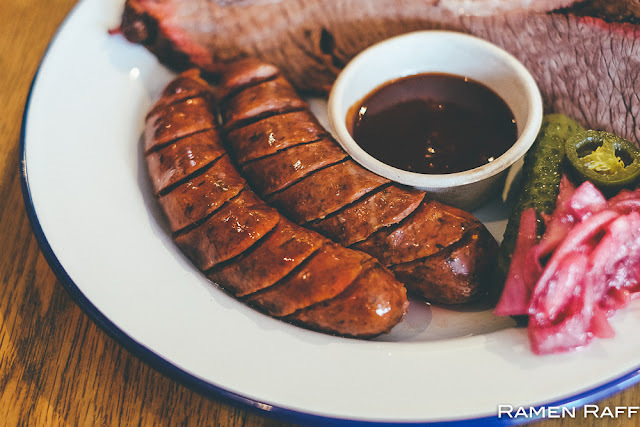 Then he did amazing feeds at Bovine & Swine with Wes as a co-founder. 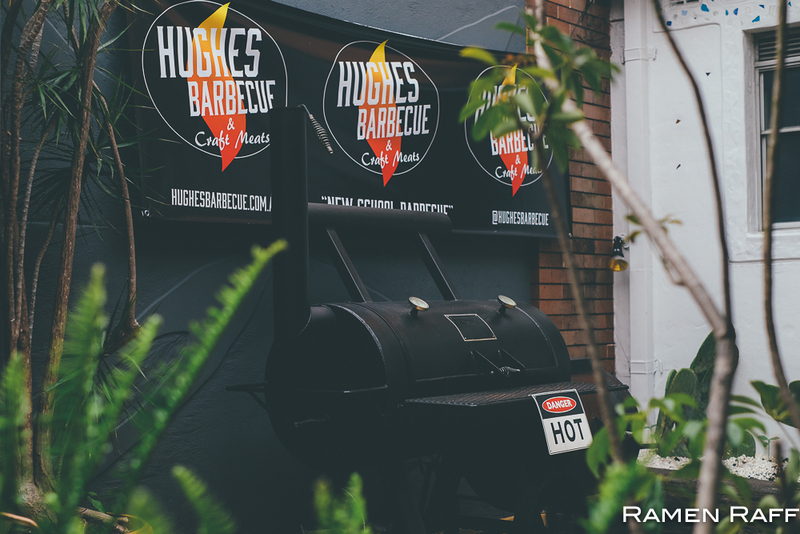 Just over a month ago, my homie Anton opened his own brand of smoked bbq meats under Hughes Barbecue. 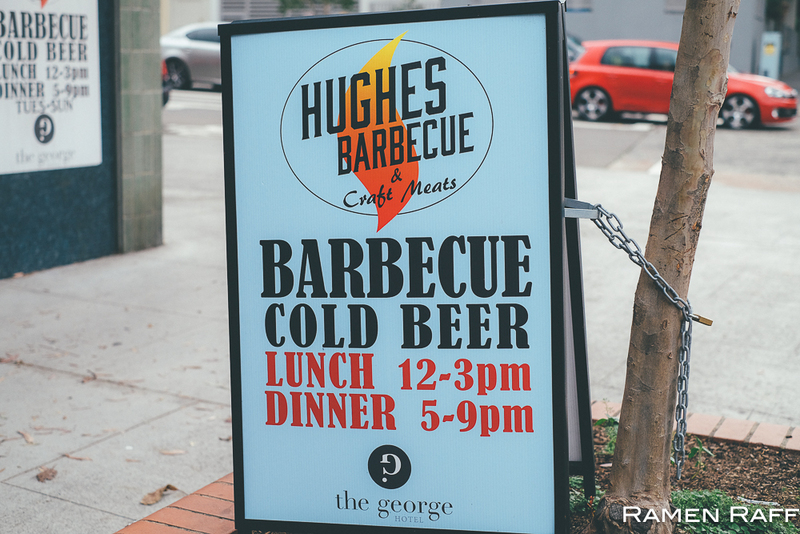 Located inside The Georges Hotel courtyard area is where you’ll find delicious smoky brisket and ribs cooking away low and slow by the Hughes Barbecue crew. 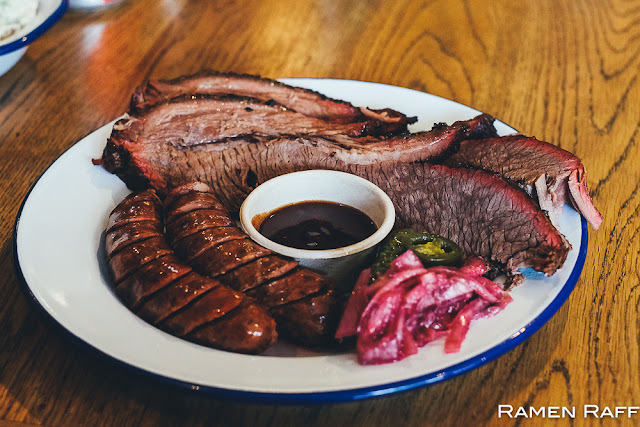 The menu is full of different smoked meat sandwich options on weekdays and on weekends, massive servings of bbq plates are also available. 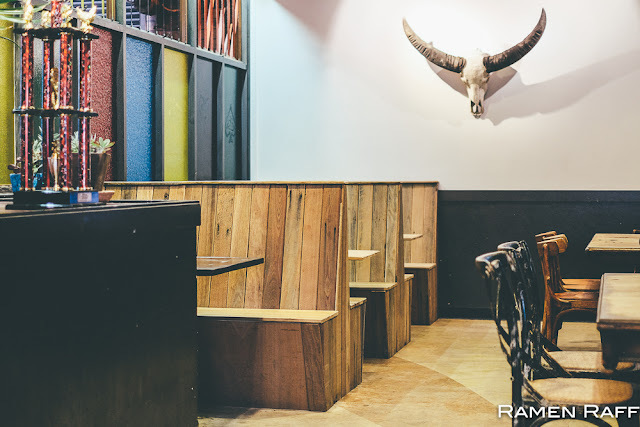 The area itself has a very Texan-vibe. 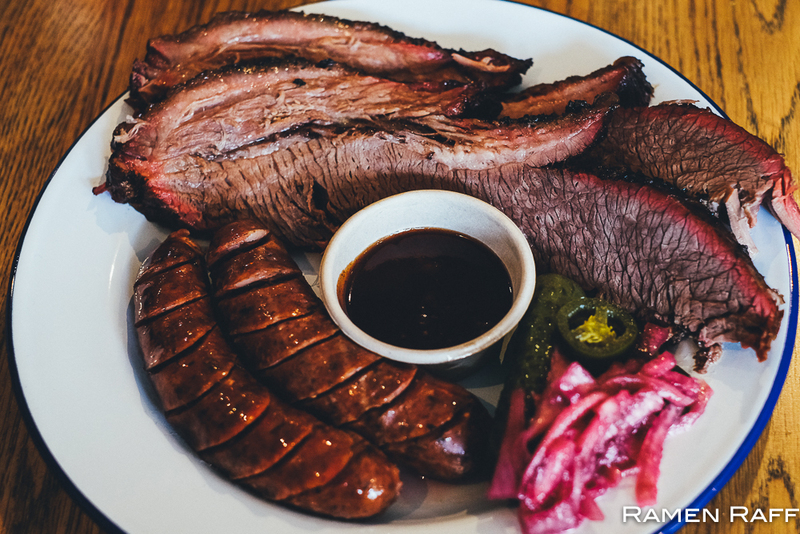 For the “two meat plate” ($35 including 1 side and pickles), we opted for beef brisket and andouille sausage links. 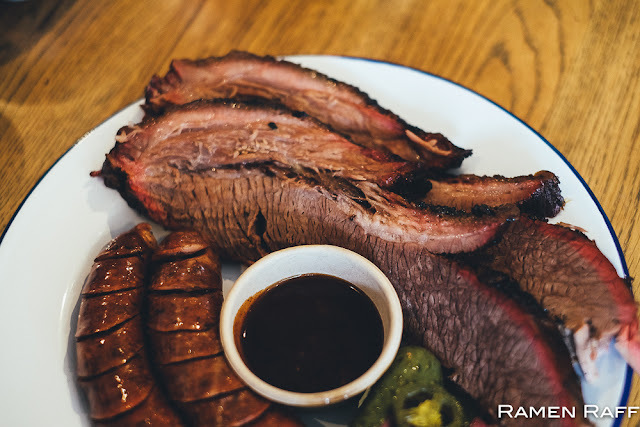 The smoky brisket was legit, tender and tasty with a visible smoke ring. The links were smoky with sweet and garlic notes. 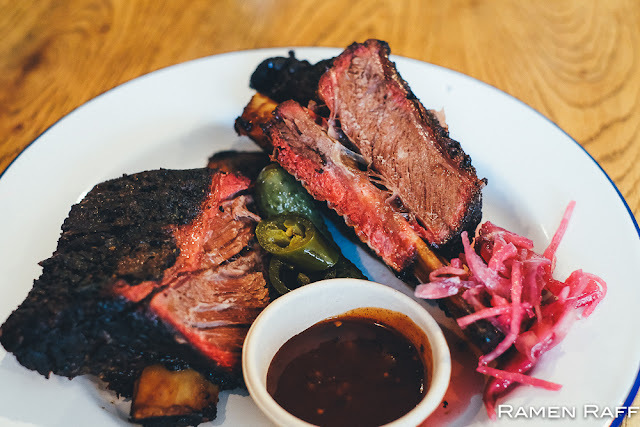 The beef short rib plate ($50) came with two massive short ribs, a side and pickles. The meat was insanely tender and buttery full of sweet smoky goodness. The spice rub on the surface was amazing too! 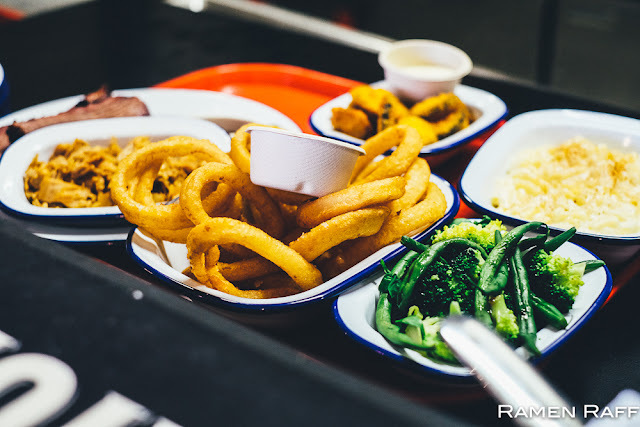 Each meat plate came with a side. We went with a tasty creamy mac & cheese and a classic potato salad. 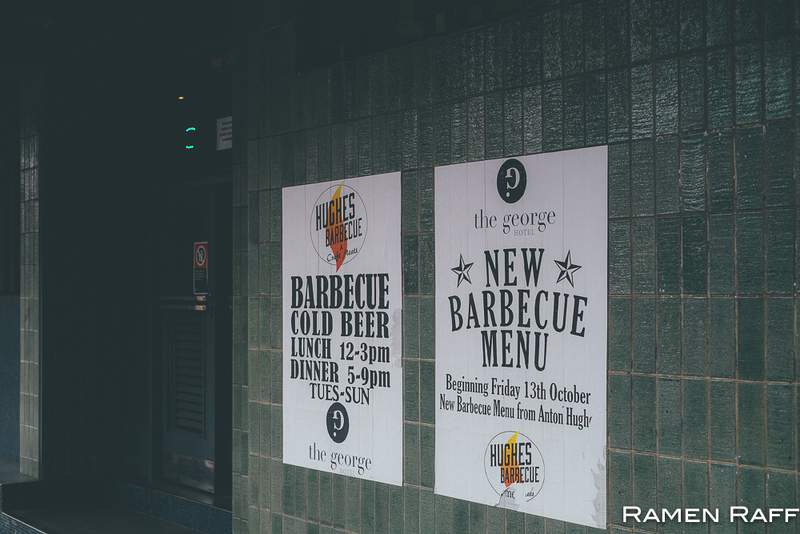 They are also looking into adding Asian-inspired bbq flavours and vegan smoked dishes on the menu. You can never go wrong with anything cooked by Anton. His smoked bbq meats are as legit as it gets! 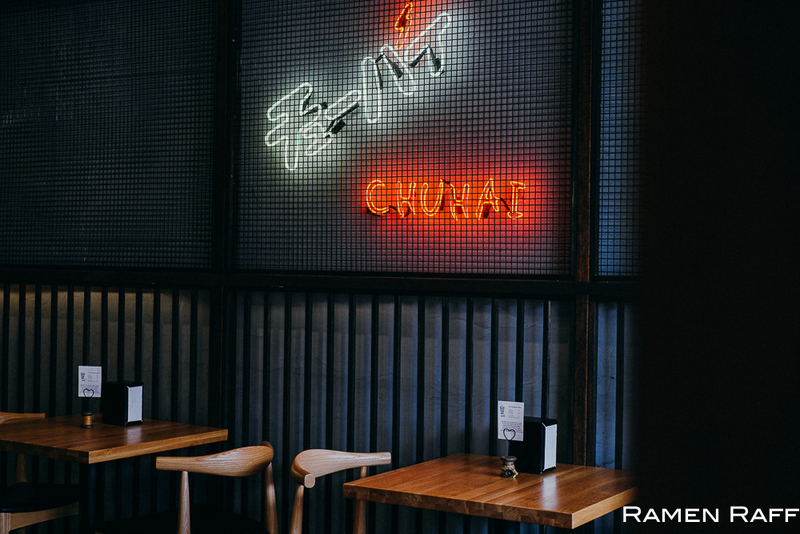 I feel like a fusion concept restaurant is so hard to pull off. But when done right, it can be the most amazing food haven in town. It’s not just about bringing styles and flavours from all over the globe together and mashing it into whatever. 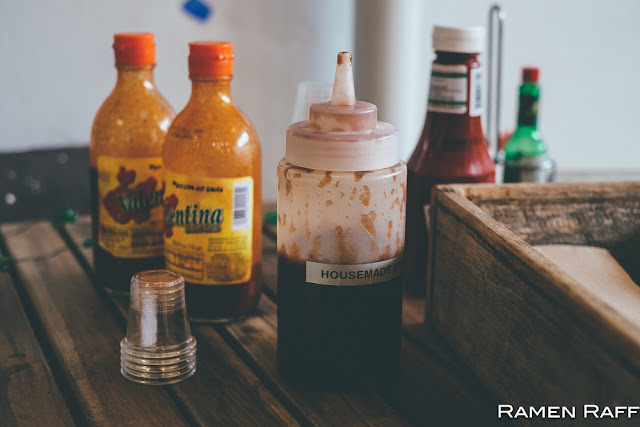 But you take inspirations from various cuisines and dish out a well-balanced creation. 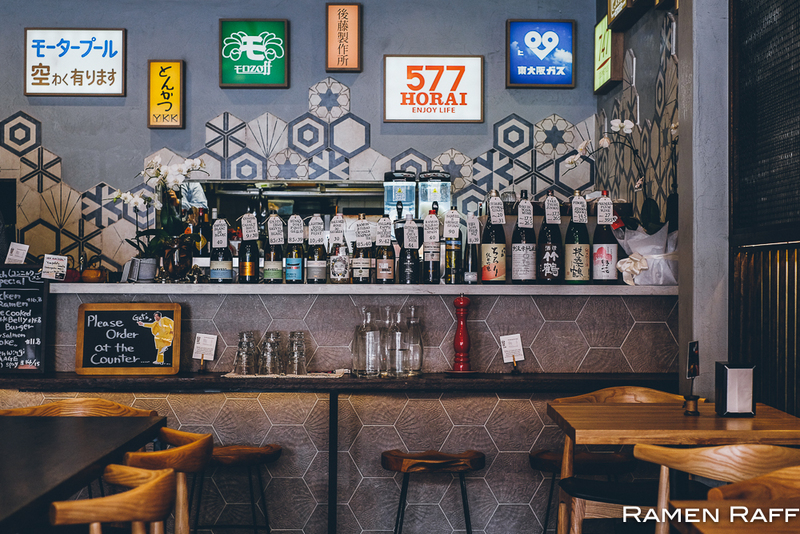 Willoughby Japanese/European/Hawaiian themed wine bar Spanish Sakaba has done just that. 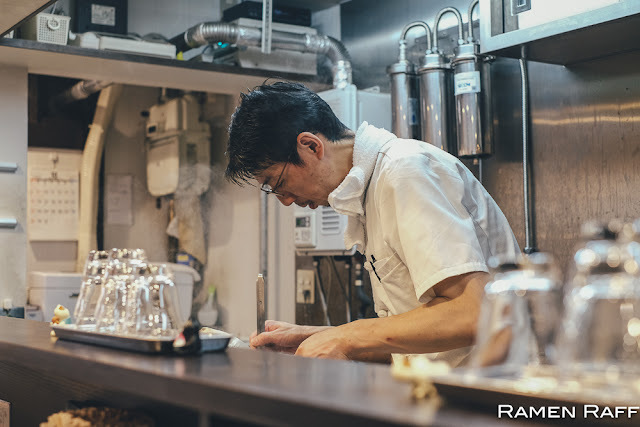 I have come to know about Spanish Sakaba through Chef Haru Inukai who used to work alongside chef Iwao Yamanishi (owner and head chef of Spanish Sakaba). 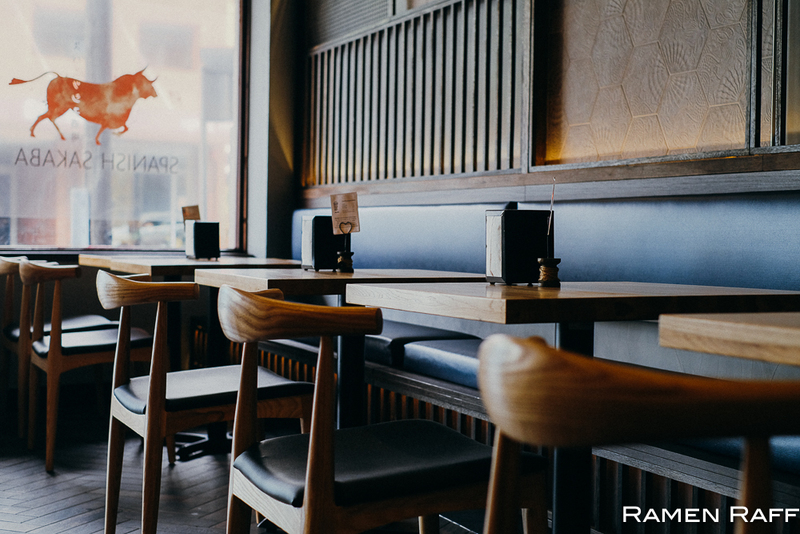 I would say Sakaba is more of a European/Hawaiian tapas and wine bar with Japanese influences rather than just an Izakaya. 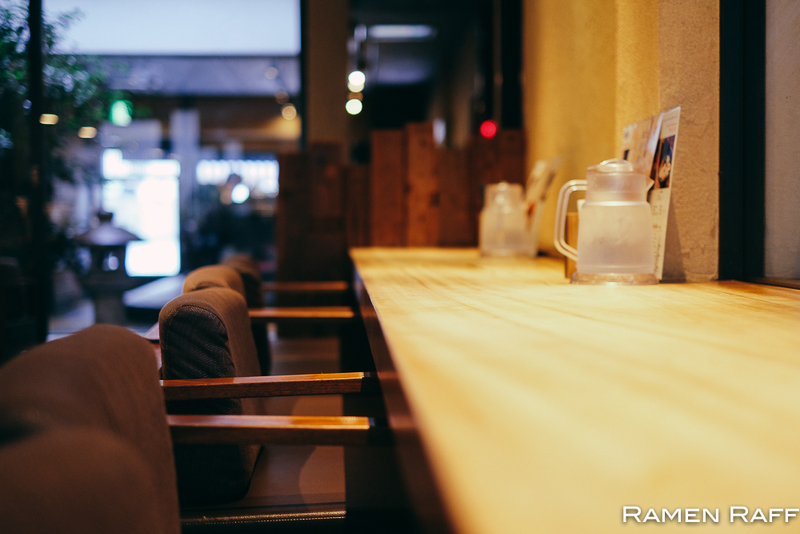 It reminds of themed wine bars common in Tokyo’s Shibuya area. According to Yamanishi-san, that’s exactly what he is going. 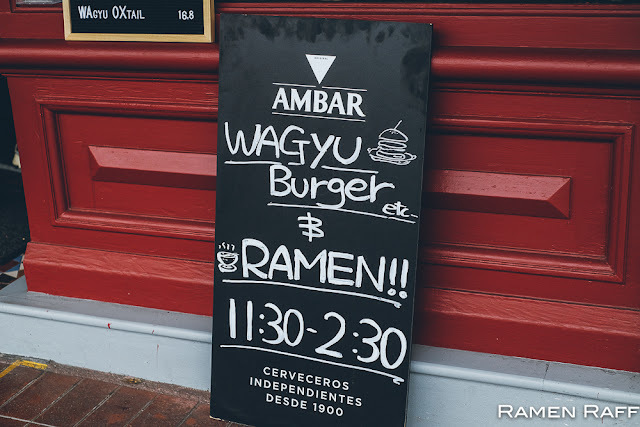 I visited them along with the Cool Mac boys (Eugene and Jun) to try their ramen and burgers (only available during lunch time). 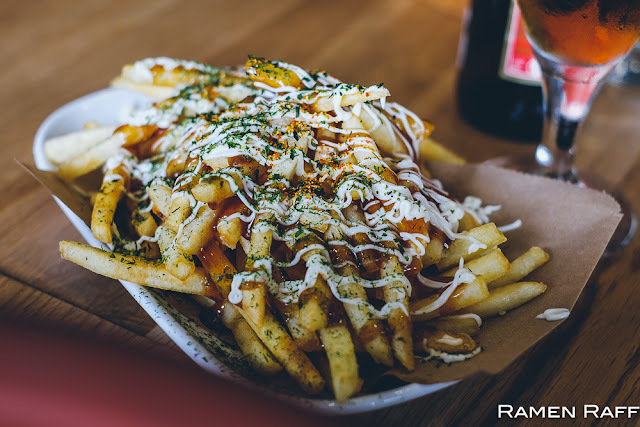 Sakaba’s shoestring fries ($7.50) is like an okonomiyaki themed fries: Topped with kewpie mayo, otafuku sauce, aonori and shichimi pepper. There are a few burgers on the menu: The wagyu beef burger, beef katsu burger, and a special twiced cooked pork belly burger. 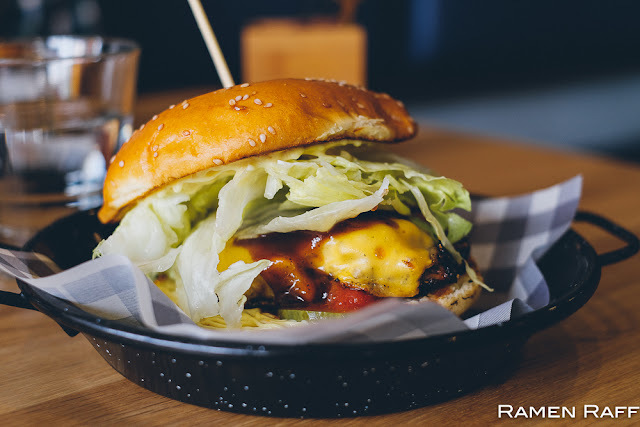 The wagyu beef burger ($12) was more of an old school milk bar style burger with wagyu beef blend patty, cheese pickles, lettuce and bbq sauce. 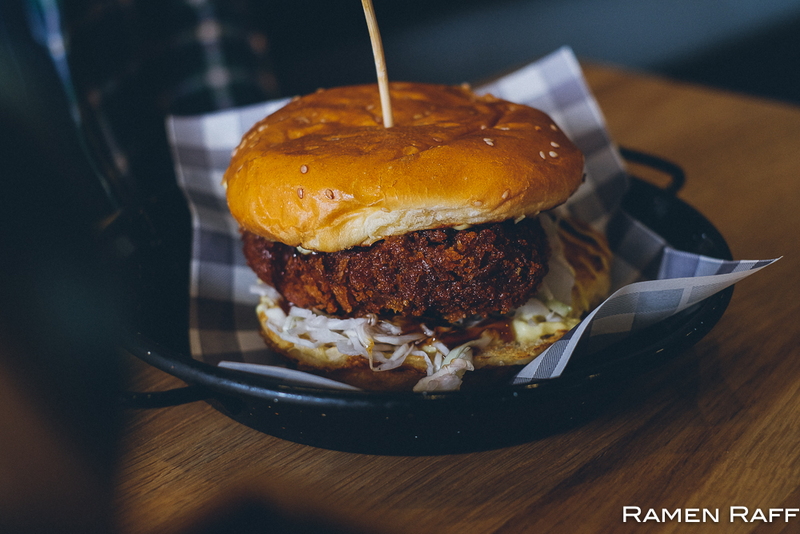 The beef katsu burger ($16) consists of deep fried crumbed fatty beef fillet, slaw and Japanese bbq sauce in a milk bun. The katsu was crisped on the outside and tender on the inside. 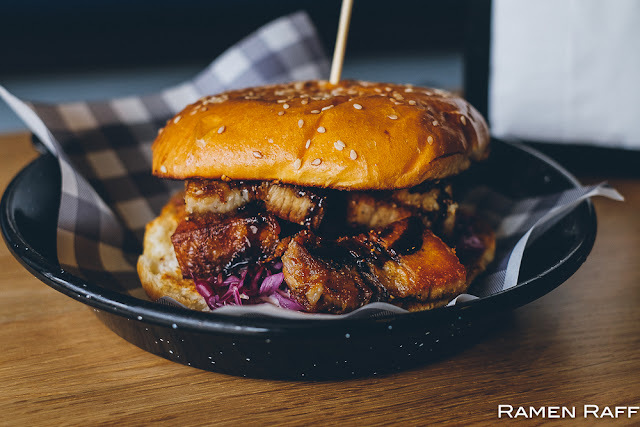 The weekly special twice cooked pork belly burger ($14.80) had crisped and tender chunks of fatty pork belly with Moorish spices like cumin and coriander seeds, a sweet-ish savoury caramel-like sauce and slaw in a soft milk bun. 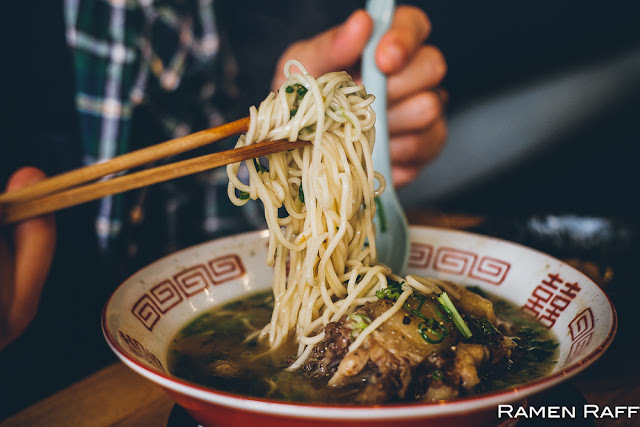 Their oxtail ramen ($16.80) is a regular on the lunch menu. 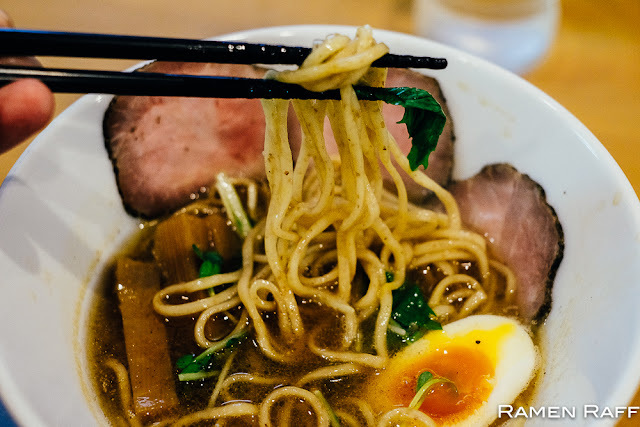 It’s a Hawaiian style ramen with medium thick noodles in a bold beef broth that was reminiscent of Vietnamese pho and Filipino beef nilaga (Braised beef hot pot). 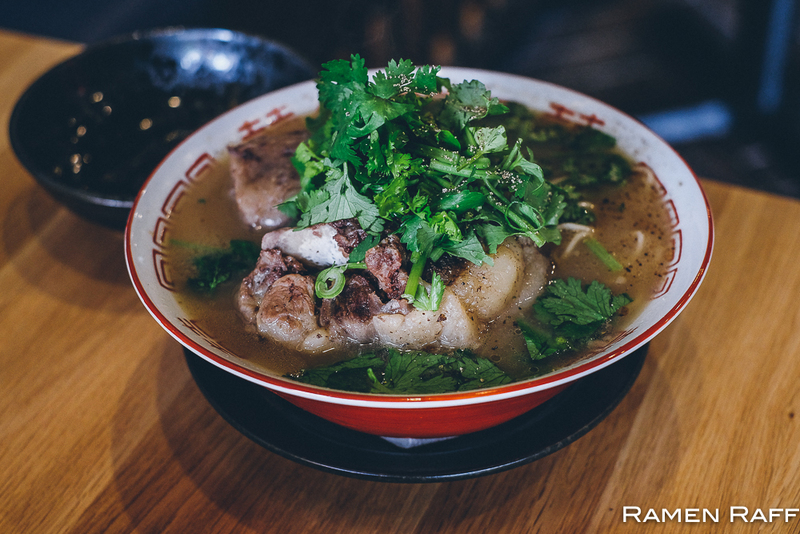 It was topped with coriander leaves, negi and braised fatty buttery ox tail meat. 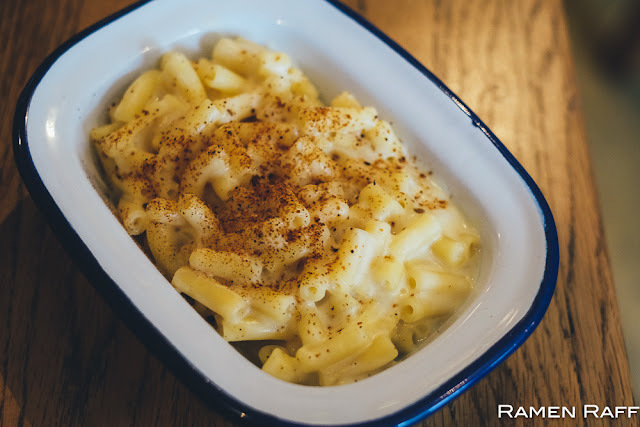 This dish is very Japanese in concept but with core Pacific island flavours. Last but not least was my favourite, chicken ramen ($16.80) taken to another level. The broth was a chintan (light and clear) chicken soup with shio dashi tare. 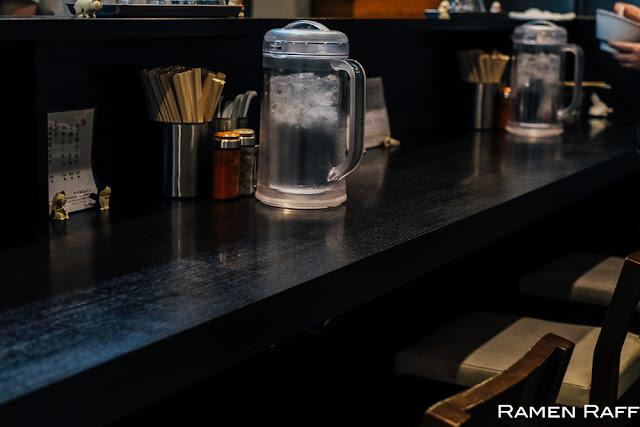 Every sip starts with a clean chicken flavour then followed by notes of bonito dashi. Topped with buttery pancetta and sous vide chicken chashu. The chicken chashu was slow cooked in dashi then served with volcano rock salt, which brought out extra umami from the chicken. 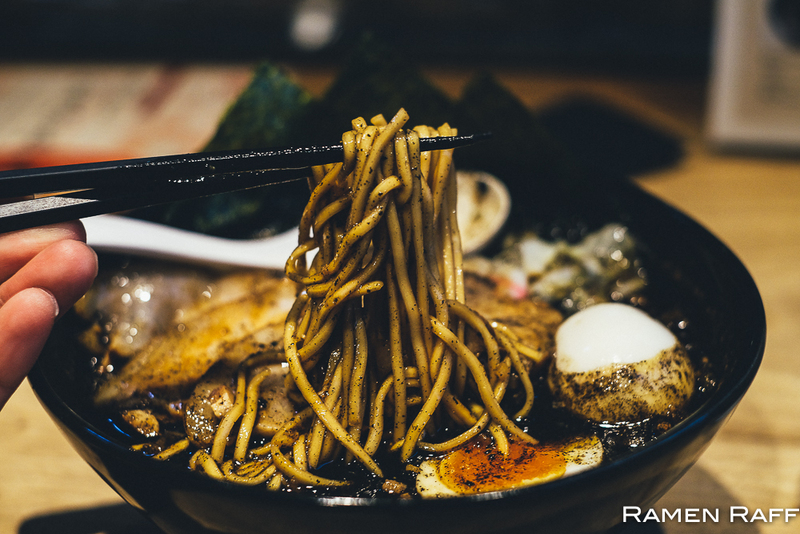 The same noodles were used as the ox tail ramen. It was very refined and premium. 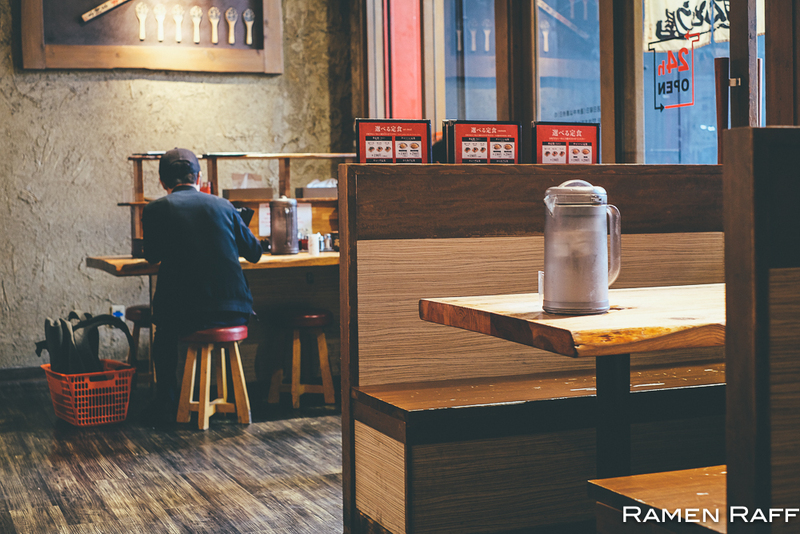 Something that you would see at ramen shops in Tokyo like Mensho. It also comes with a yuzukoshio paste and confit garlic that you can add to the broth to add sweet, peppery and complex flavours. 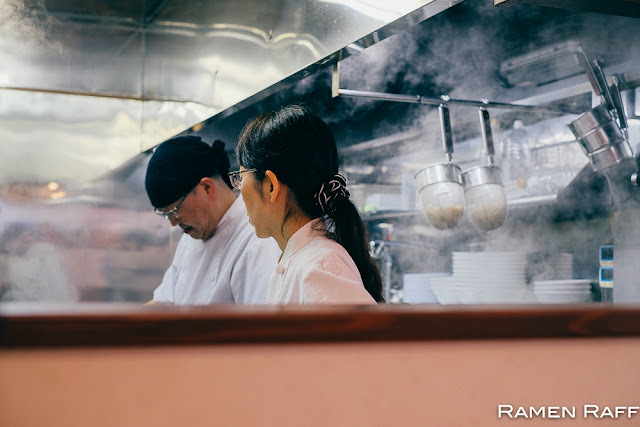 He also does curry ramen and ox tongue ramen as a special every now and then. I’m now a fan of Chef Iwao’s work and I can’t wait to try the dinner menu next. 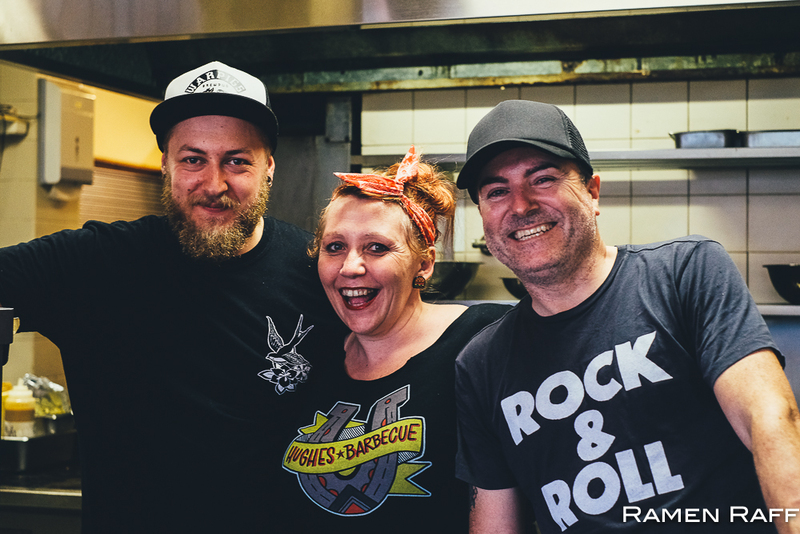 Ramen Raff and the Cool Mac boys dinned as guests of Spanish Sakaba. 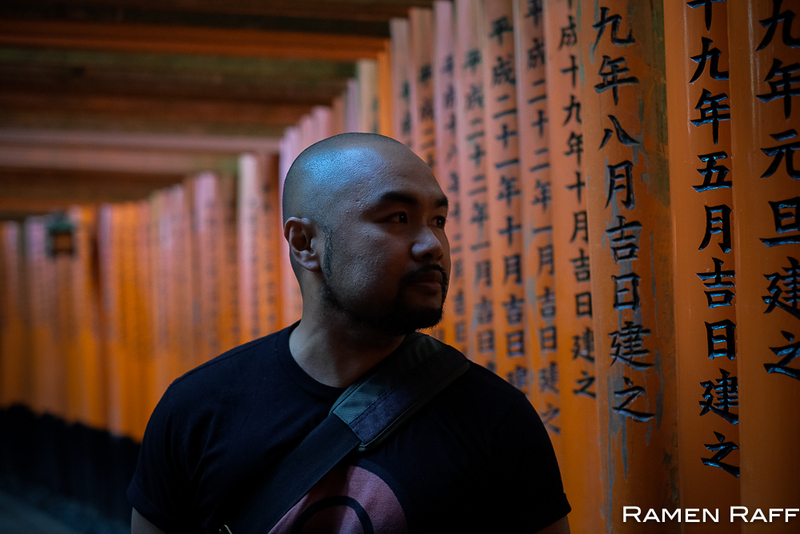 As most of you know, team Ramen Raff visited the Kansai region not long ago. 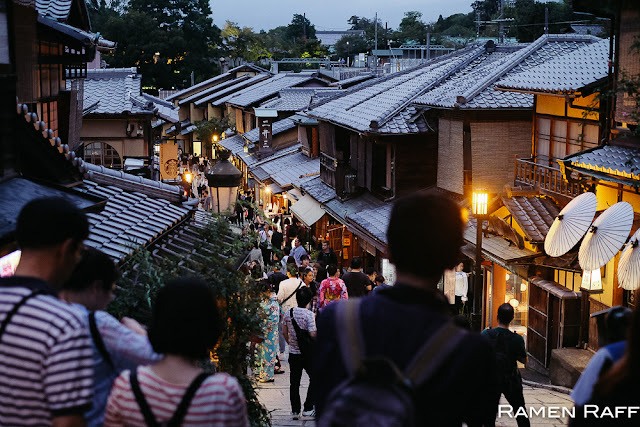 We ate a lot pancakes, shopped in Osaka, ploughed through the crowds of tourists in Kyoto and Nara. It was a full-on trip but we managed to try some of the best ramen that Osaka, Kyoto and Nara has to offer. This shop is listed in the Michellin Bib Gourmand list and I can see why. 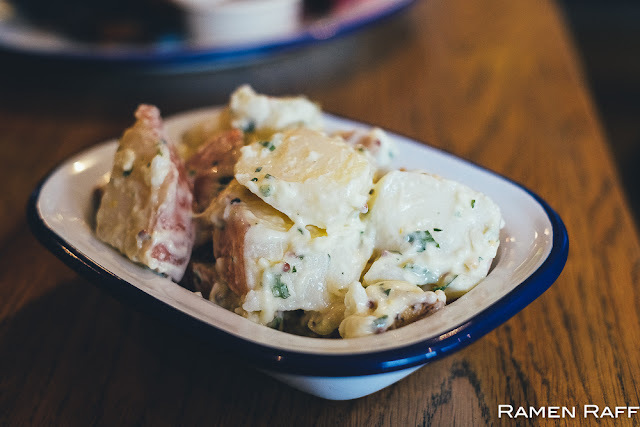 The composition of each bowl, the ingredients and flavours are premium. There was a line when we got there around 12pm. We waited no more than 20 minutes before we were seated inside the counter-style eatery. Although popular for their miso ramen, you should also try their shoyu ramen (¥850/$9.60AUD). The noodles are slightly thicker and the broth is a soy gyokai (seafood) based possibly niboshi. 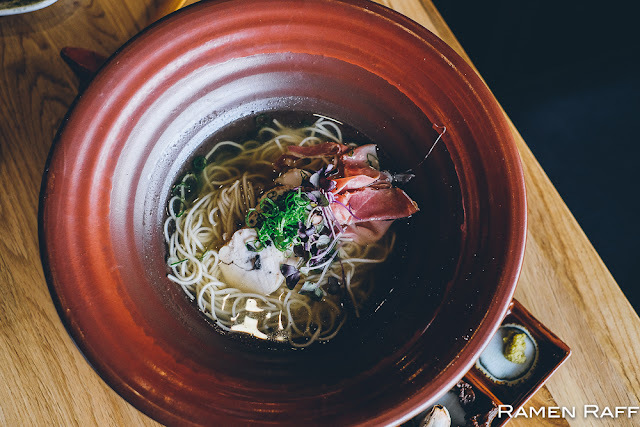 I love the depth and complexity of this broth including the notes of smokiness. The negi was nice for adding sweetness to the smoky backdrop of the broth. 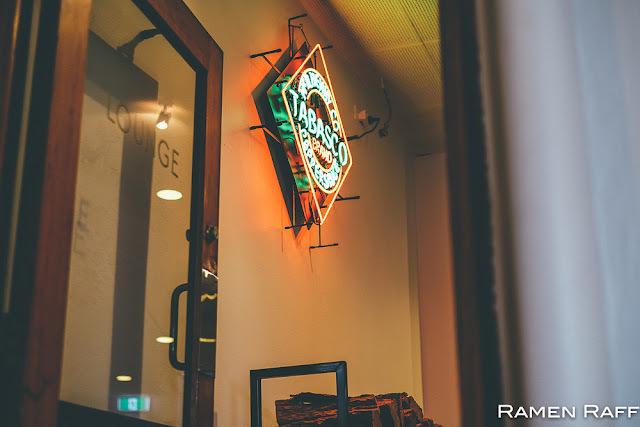 Their miso ramen (¥930/$10.50AUD) is the one of the best that I’ve had. 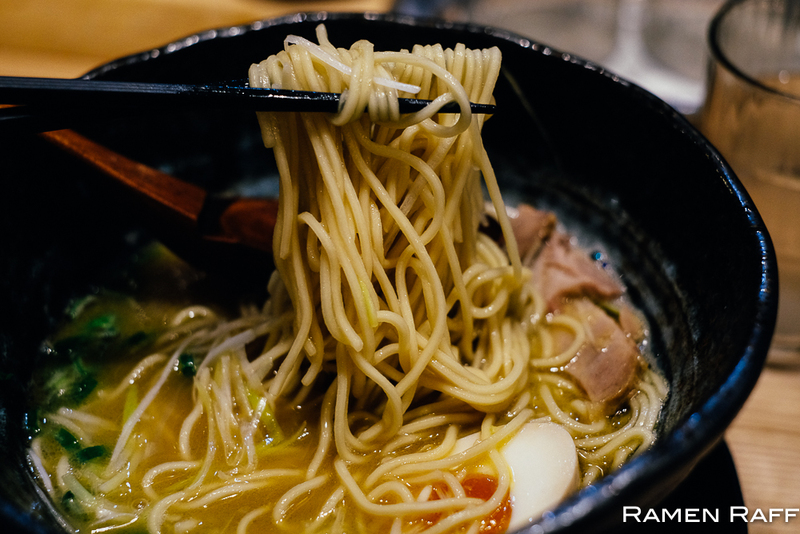 Thin to medium thick flat noodles cooked futsu (normal or medium) level. 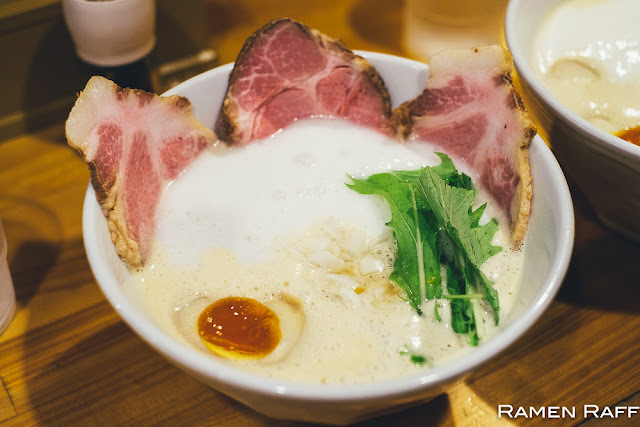 The broth density was medium thick and almost heavy on the abura. It was also quite complex and had a super well-balanced sweet, umami, salty and citrus (yuzu) flavours. 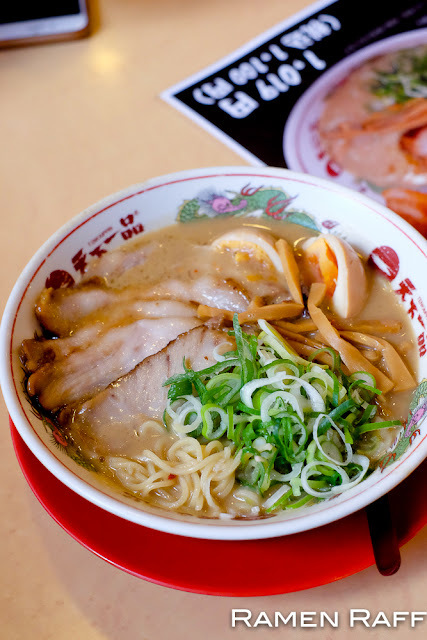 Toppings included: 2 types of tasty tender chashu, chewy menma, sweet negi and bean sprouts. 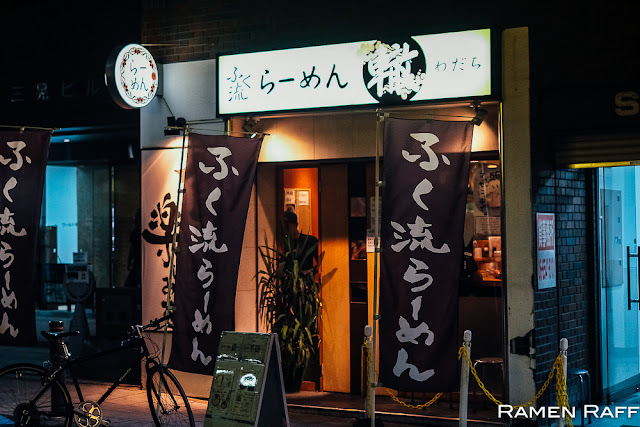 A must visit when in Osaka especially if you are a miso ramen lover. There are two Fukuryu Wadachi branches and we ended up visiting the Honmachi shop. 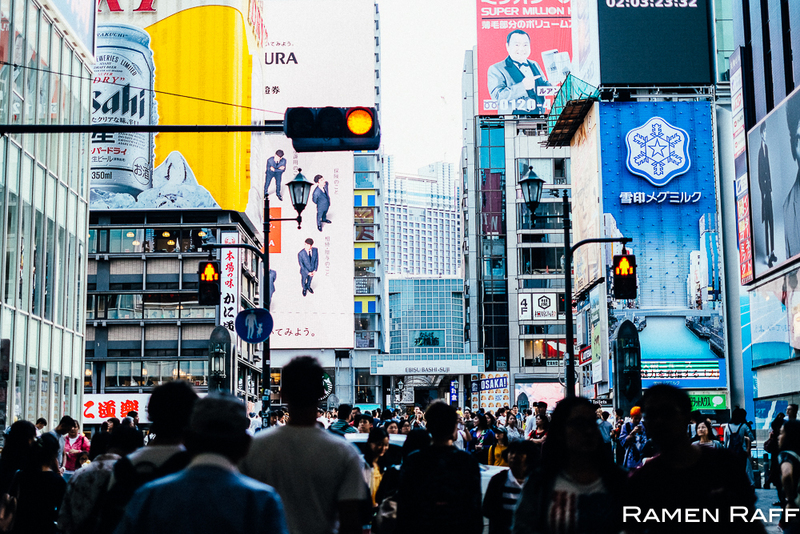 It’s around 4-5 minutes walk from Honmachi station. Just like Hayato, the shop was quite small but immaculate. At 7am, the joint was nearly packed. 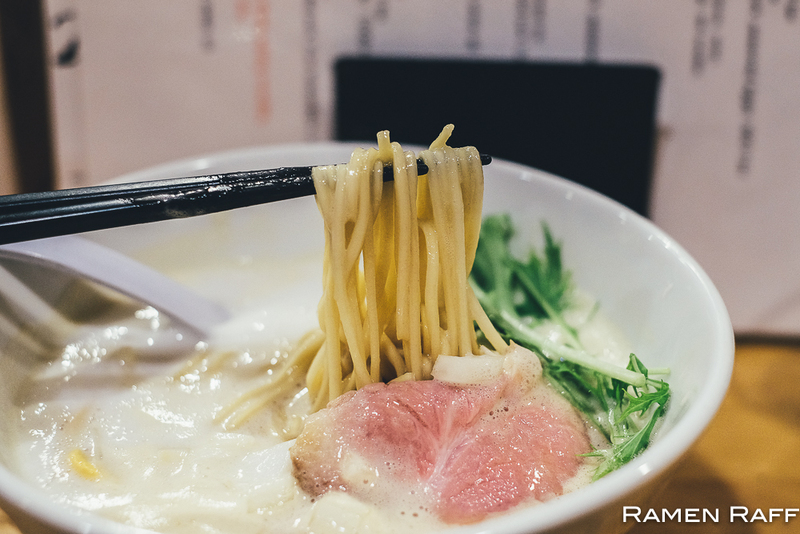 We tried 2 variations of their Tori paitan ramen: the standard Fuuku ryu ramen with ajitama (seasoned egg) and special fuuku ryu ramen. 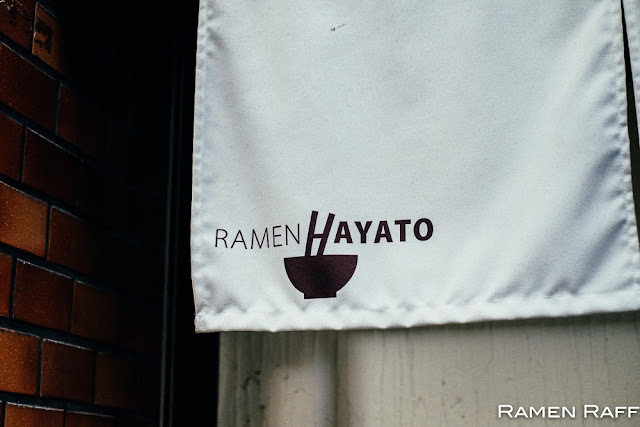 The difference is that the special ramen has more chashu and extra ajitama. The sous vide chashu was tasty and the ajitama was lightly flavoured. 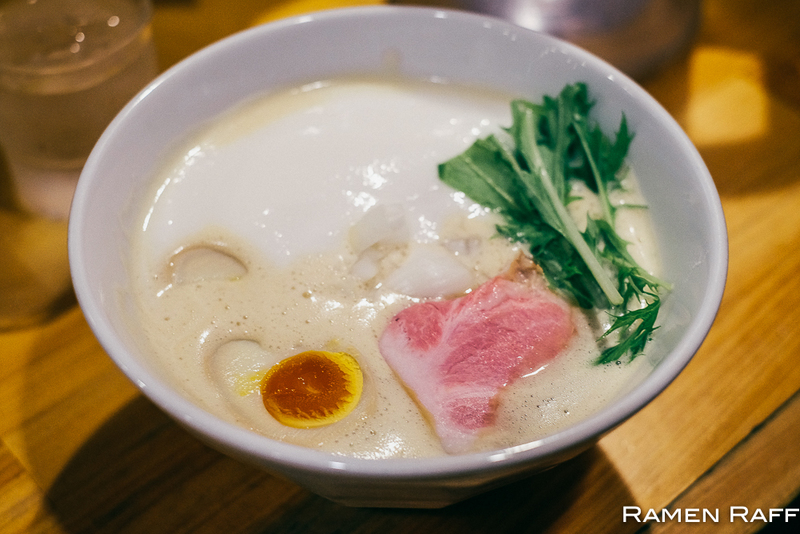 The broth was topped with espuma citron or yuzu foam to give the creamy chicken broth citrusy notes. 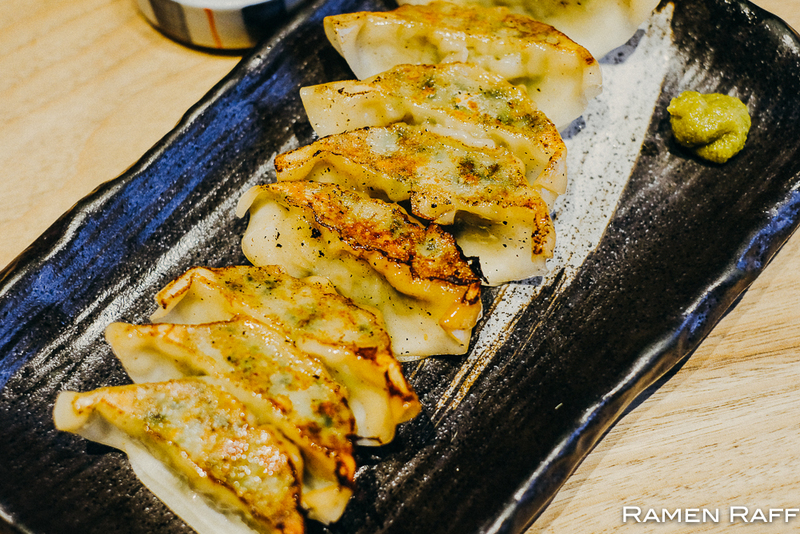 The pepperiness of the mizuna and sweetness of the onion added a nice complexity. The noodles were almost pasta-like. I’ve tried a few tonkotsu ramen chains in the last few years. 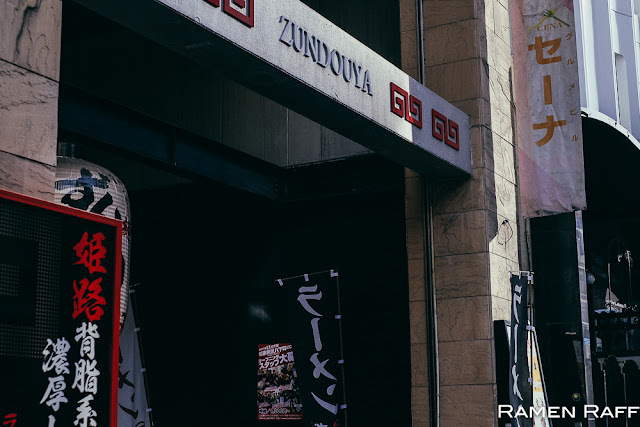 Zundouya is my favourite chain to date. 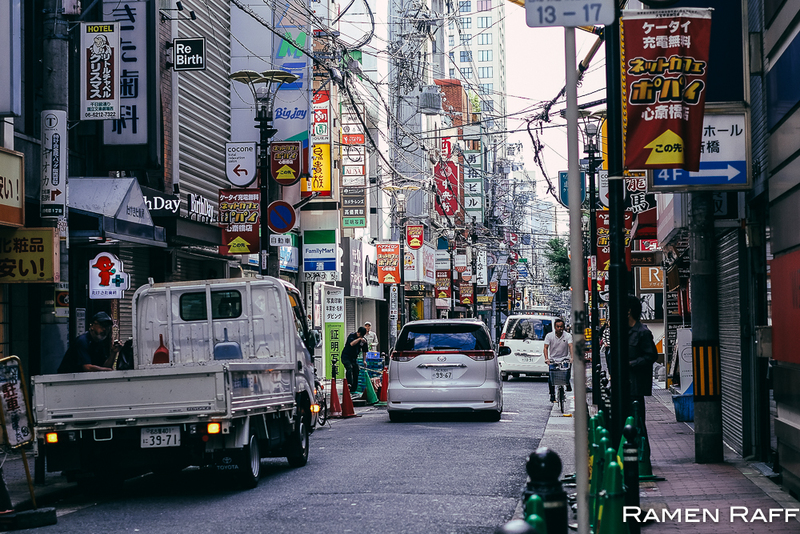 The best part of their Shinsaibashi shop is that it is open 24/7! So we headed there for breakfast (why not?!). I tried the ajitama ramen (¥850/$9.60AUD). 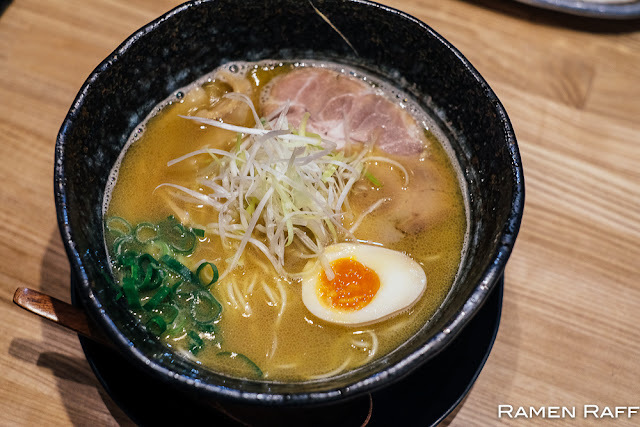 It was a Hakata-style ramen with thin straight katame noodles, medium thick shio tonkotsu broth with せあぶら(back fat) that had medium level umami. Heavy on the fat means higher broth density and I loved it. The ajitama was perfect with a slightly custardy yolk. Chashu was heaps tender and tasty. Also topped with kikurage, negi and nori. 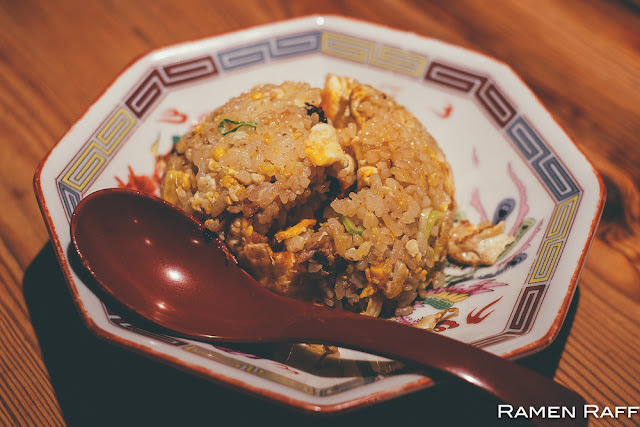 Tip: Get the fried rice (¥350/$3.95AUD) here as it is insanely flavoursome! 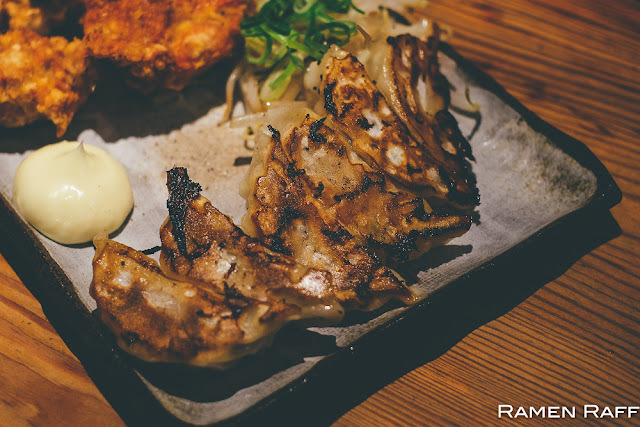 The gyozas and karaage chicken were good too. Get the large matsuri set (¥700/$7.90AUD) which comes with 6 dumplings and 4 karaage chicken pieces. I will forever hold Gumshara as my favourite ramen place. 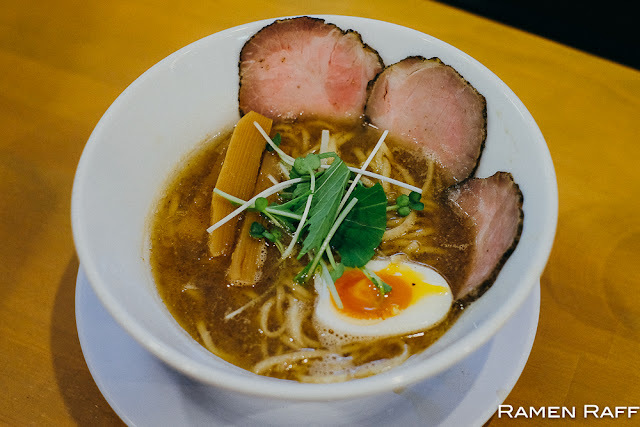 It's what made me fall deeply in love with ramen the first time I’ve had Mori-san’s pork sparerib ramen. 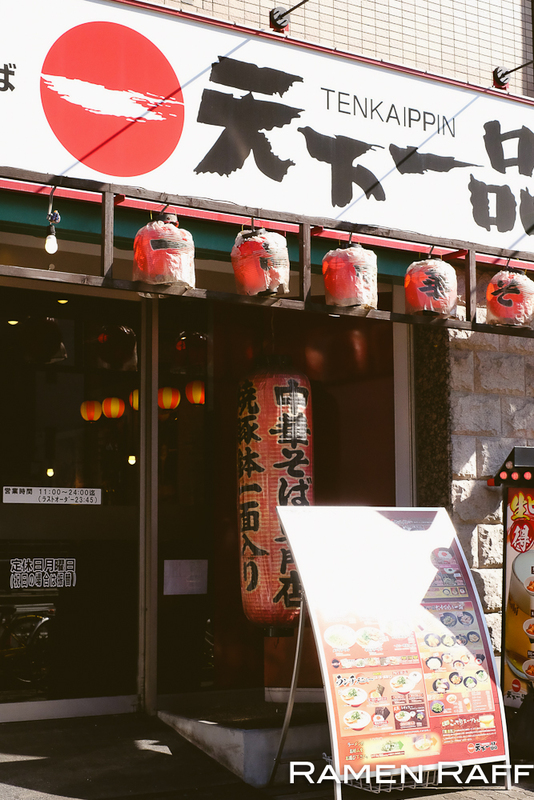 On our first visit to Osaka, we visited the ramen joint that started Mori Higashida on his journey to become a ramen chef master and open up Gumshara in Sydney. 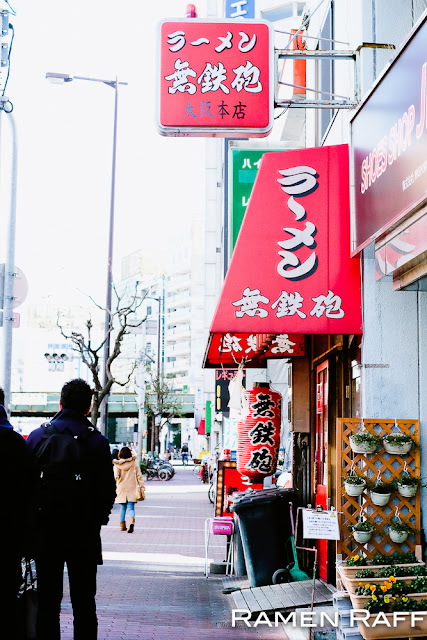 Muteppou in Osaka got him hooked on their ramen the same way I got hooked on Mori-san's ramen. 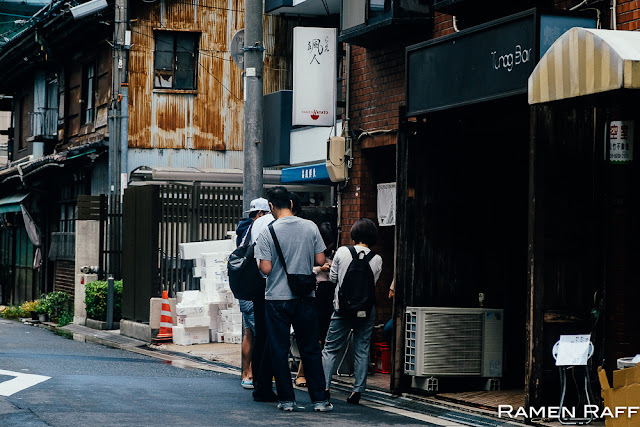 The lines can get crazy during lunch time so try to get there before 11am (opening time). I tried their chashumen with tamago (¥1050). It's their signature kotteri tonkotsu ramen with multiple slices of chashu and hanjuku tamago. The chashu was just like Gumshara's, which were tender, fatty and tasty. The egg was perfect where the egg white has just set and the yolk was slightly runny. 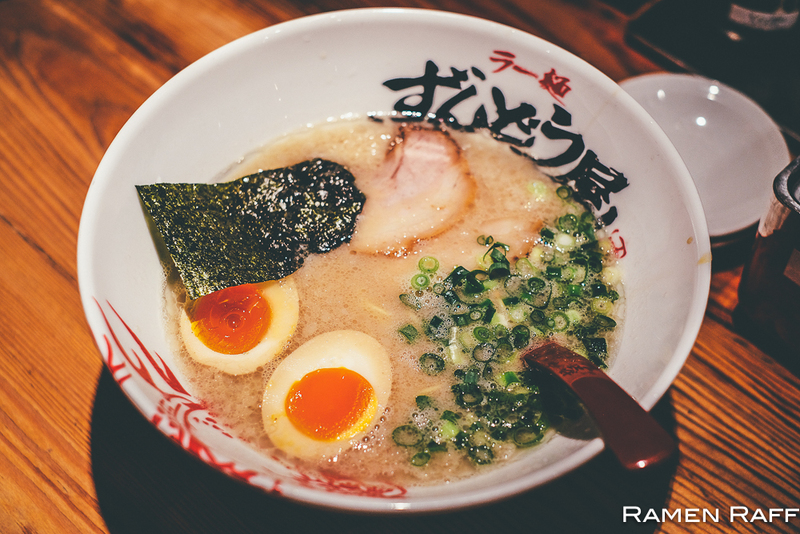 Their tonkotsu broth (compared to Gumshara) is closer to a gravy-like consistency! Though the broth texture was hectic the umami flavour was just right and not too intense. Along with the sweet notes from chopped green onion, the broth was indeed amazing! The braised menma (bamboo shoots) compliments the broth. The curly noodles were perfectly cooked around futsu level. If you like your broth super thick and heavy, then you need to try this! 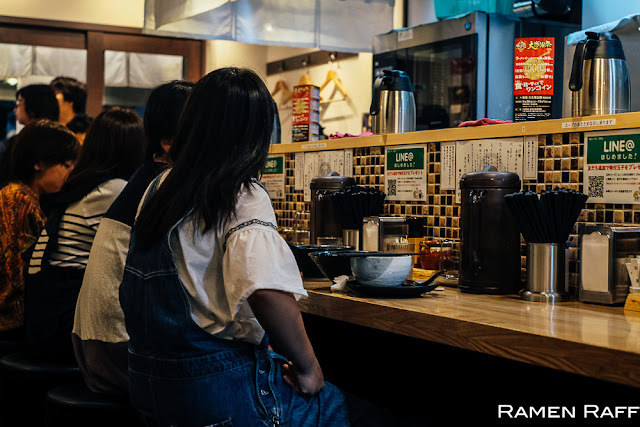 Tenkaippin is a ramen chain that originated in Kyoto. But now, you can find it most major areas in Japan as there are over 200 restaurants around. Their chashu kotteri ramen with extra tamago is my go to here. 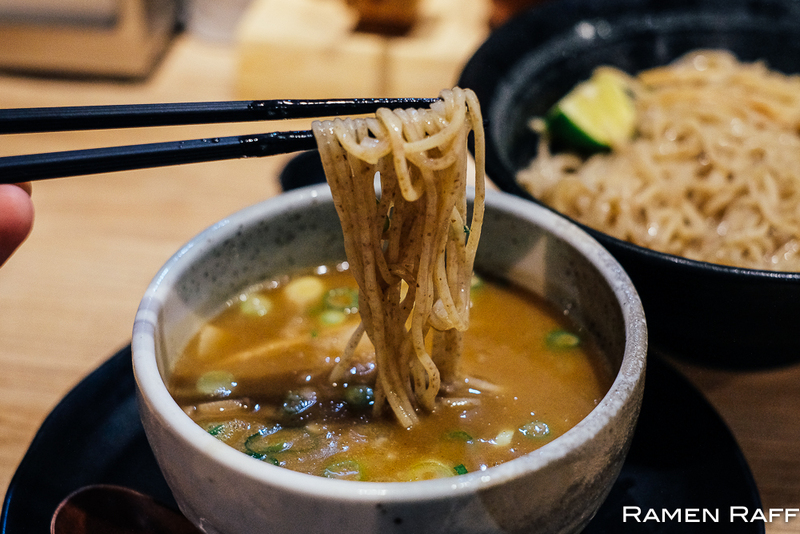 It was a beautiful bowl of glistening slices of fatty pork, nice firm noodles, menma, soft boiled tamago, green onions and a pottage-like thick soup (very true to Kansai’s love of thick broths). For a chicken broth, it packed a lot of flavour and it almost had a creamy bisque-like density. This is a bowl you shouldn't miss! This one is a no brainer. 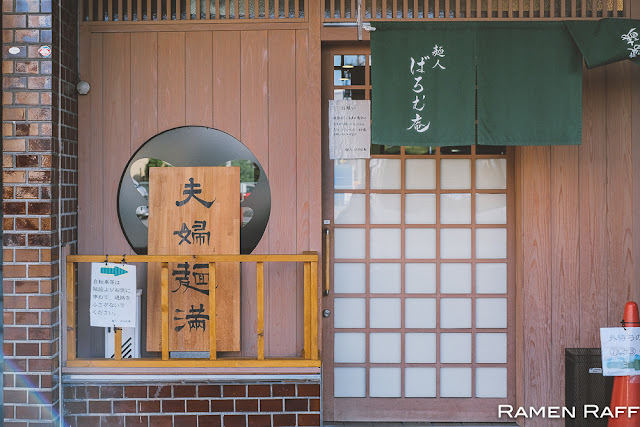 When in Kyoto, one needs to visit this famous joint especially at lunch time (free to upsize your ramen!). 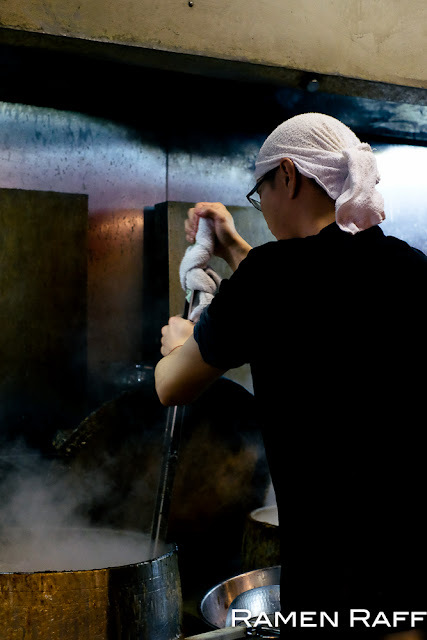 They are famous for their Kogashi (burnt) soy and miso ramen. 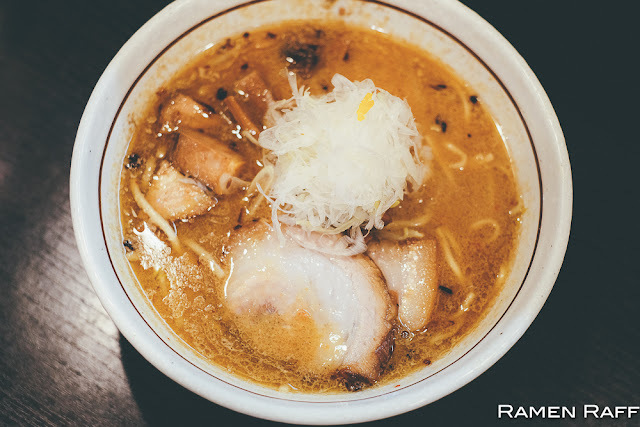 My go to for lunch is their kogashi miso ramen with extra chashu (¥1130). 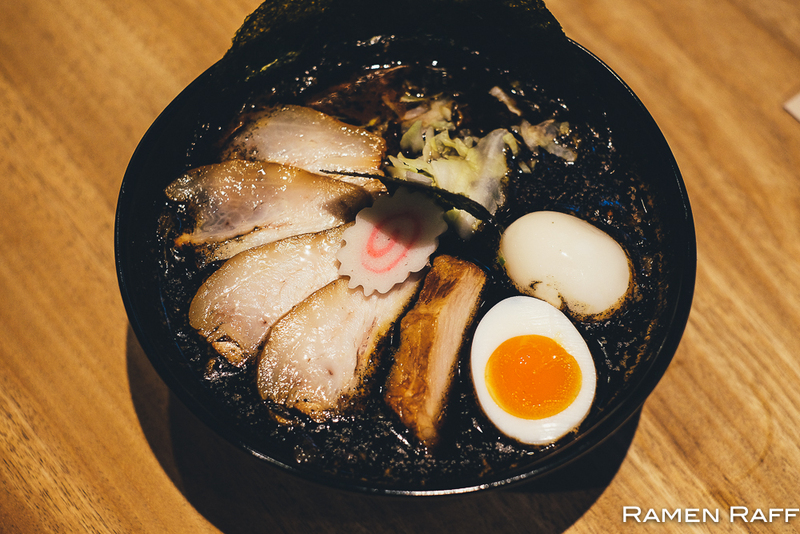 It comes with thick egg noodles, five slices of chashu, naruto, nori, half soft-boiled egg and some greens. The chashu here is fatty and tasty. Noodles are cooked perfectly but the broth here is the star. 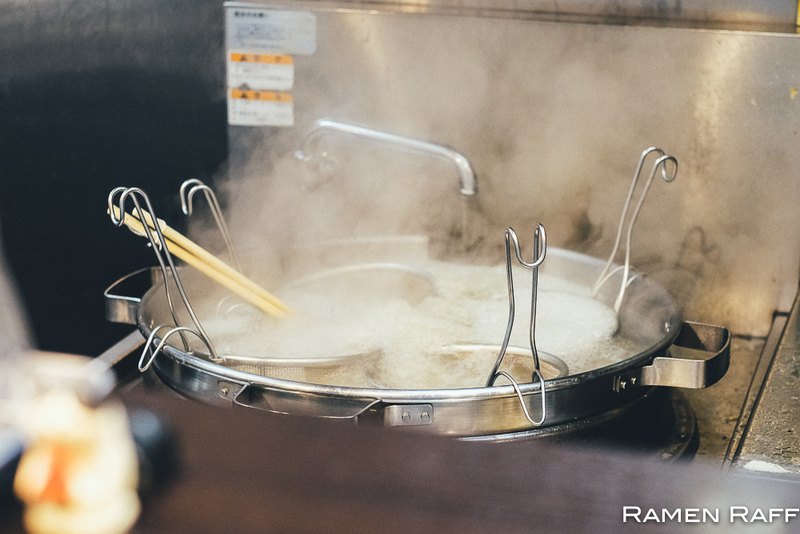 The broth consistency is close to medium thick range scale. 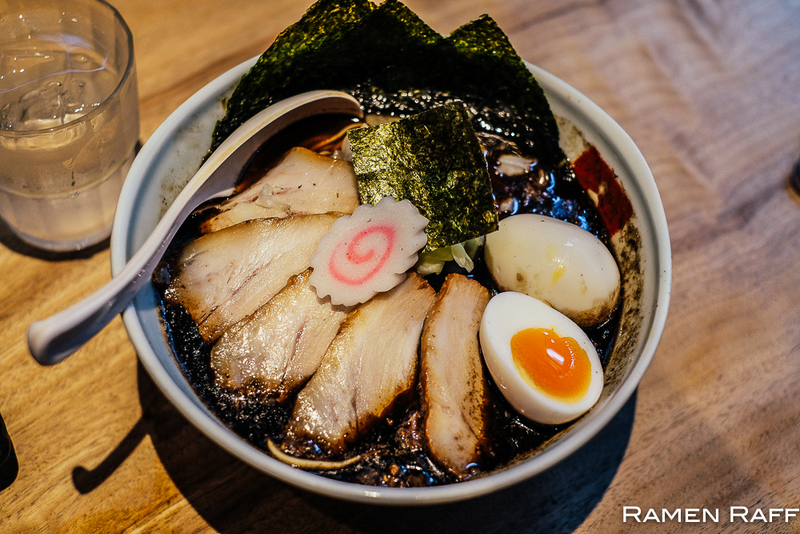 The burnt miso gives the broth smokiness and a deep umami flavour. 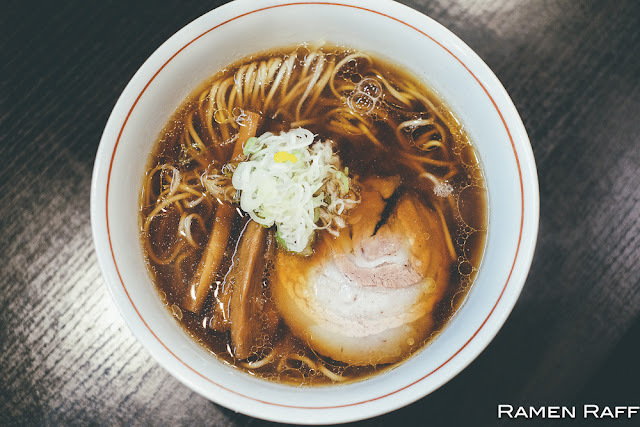 Their Kogashi shoyu ramen (¥880) is almost the same except the broth has more subtle flavours while still containing a lot of smokiness and more complex umami. To my Sydney readers, brace yourselves because Gogyo Surry Hills (ex-Salaryman spot) is set to open in the next 2-3 months! Besides our hotel being in the centralised location of Karasuma, it was also 2 doors down from this popular ramenya that specialises in tsukemen. Even at 10pm (shop closes at 11pm), the joint was packed. The shio niboshi kaoru ramen (¥650) had a light broth with decent umami and some sweetness. The noodles were like thin Hakata-style type and cooked al dente. 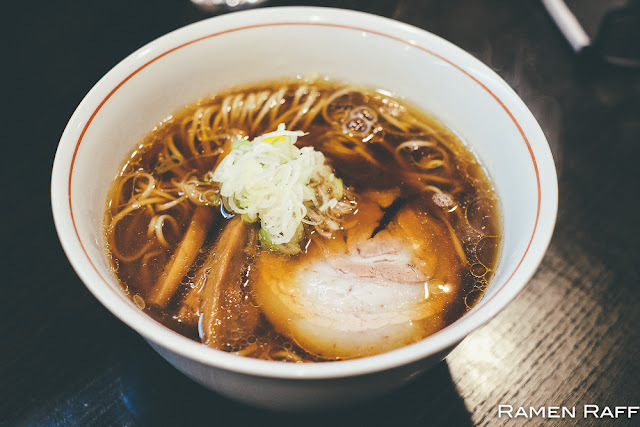 It was topped with shoulder chashu, thin menma, negi and shiragi negi. 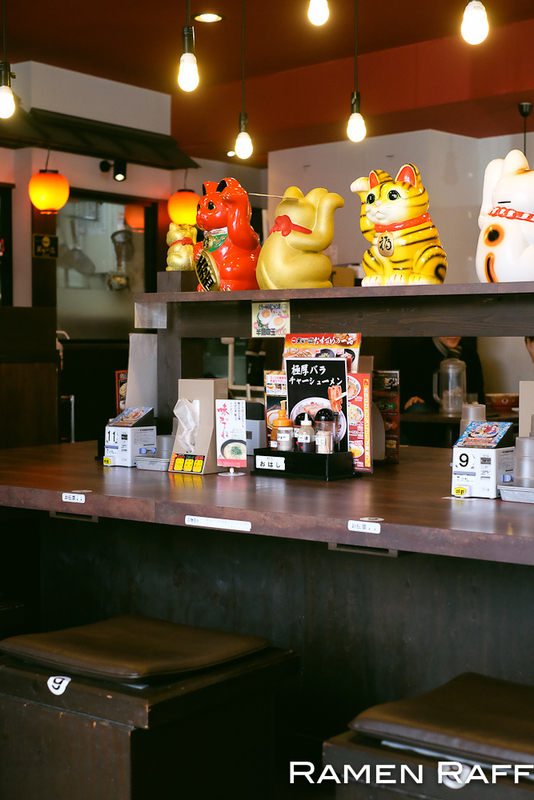 The real star in this shop is their tonkotsu gyokai tsukemen (¥850). 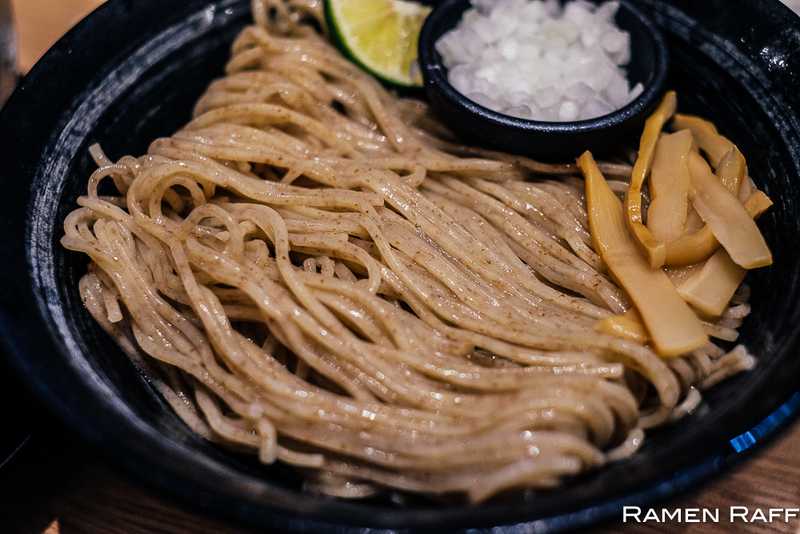 The firm noodles were almost like soba-type noodles that possibly had high ash content and blended with some whole wheat flour. The noodles were insane! The shoyu flavoured dipping broth had depth of smoky and umami flavours. I really liked the sweetness from the onions, negi and sudachi (a citrus fruit quite similar to lime). The pieces of chashu was a nice touch to the broth. This is one of the most highly rated ramen shops in Nara. 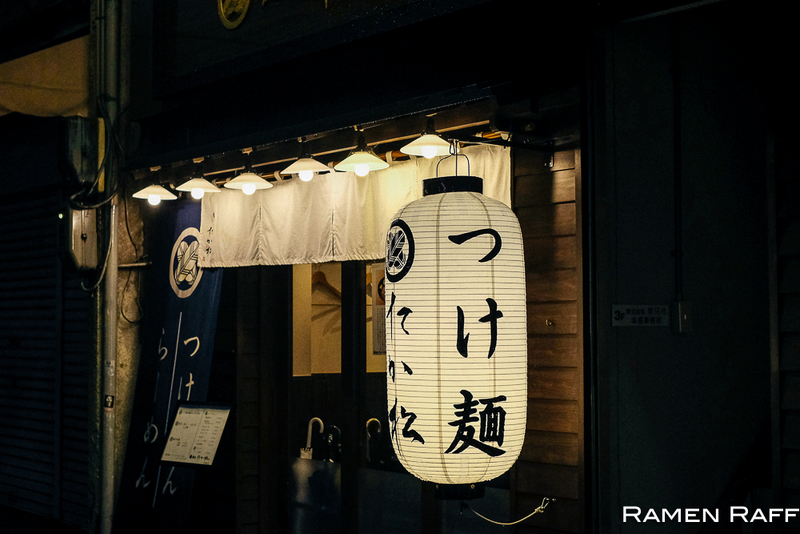 Locals would line up and patiently wait to get into this shop. We lined up for over 30 minutes. Their shin chuka soba (¥750) is insanely awesome! It has to be one of the most vibrant and flavoursome ramen I’ve come across. 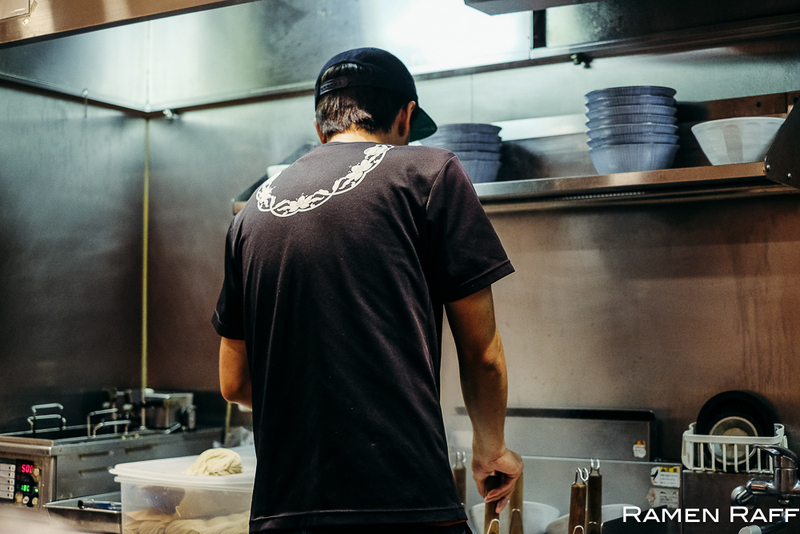 The medium thick whole wheat blended noodles and are made in-house and are cooked medium. 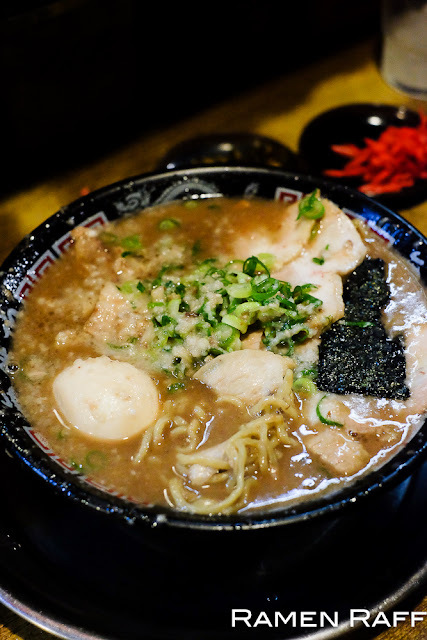 The broth is a shoyu flavoured triple soup style of pork, chicken and fish. Flying fish infused oil is added to the broth for extra umami and smoky flavours. The sous vide chashu almost tasted like premium cured meat with sweetness and slight pepperiness. It also had amazing thick chewy special menma. The hanjuku tamago had a slightly runny yolk.